I was recently asked to send a friend some photographs that I have taken in the past. It was an interesting task as I focussed on photographs that I took in 2013, during my Project 365, where I posted a new photograph each day to my Flickr account. I was amazed how I could remember each photograph and what I was thinking and doing when they were taken. I could associated each photograph with a memory, who I was with and what I had been doing that day. I have added some of these photographs below with the memory associated with it, in no particular order. 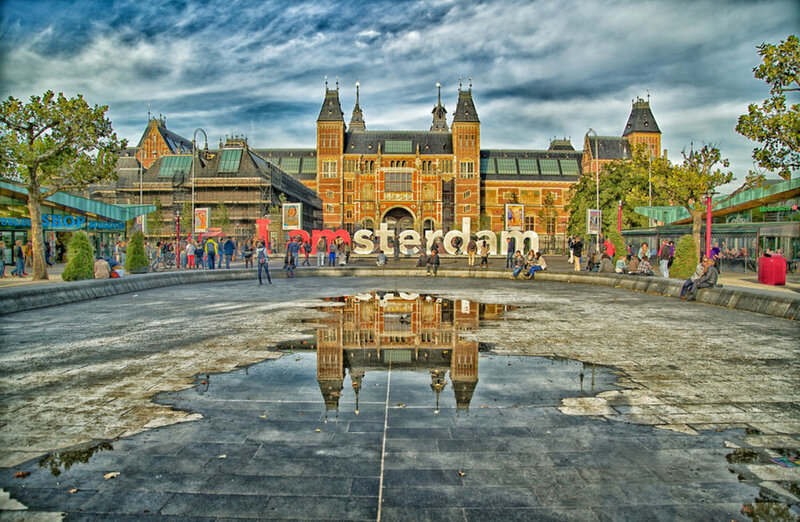 The Rijksmuseum in Amsterdam. I took this photograph on a team away day when I was consulting for Shell International Exploration and Production. The team I worked with was made up of Jelte, Herman, Ingrid, Jo, Jenny, Santiago and Fabian. We had a great day out wandering from Amsterdam Centraal Station to the Rijksmuseum and then out for dinner at the Conservatorium Hotel. Needless to say the food, wine and company was spectacular. I remember getting a lot of photographs that day, but this is the one that I liked the most. The Hague Centraal Station. 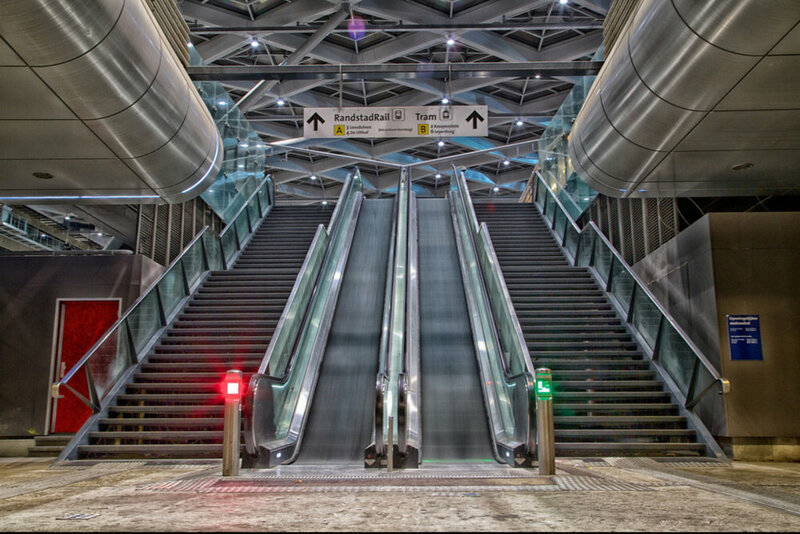 I sat for hours at the bottom of these stairs waiting on a gap from people walking up and down to the Raandstad Rail Trams. They arrived and departed every five minutes but I was determined to get the shot that I wanted without people in it. It was a long exposure so when people were in the shot they 'blurred' and I didn't like that. Finally around 12:30am a gap in appeared and I got the shot that I wanted. This was a Sunday afternoon in late autumn after spending most of the afternoon in Coffee Company, on Korte Pouten, which was just off the Plain. I just happened to have my camera with me (in those days it never left my side), and snapped this on the way home. I spent a lot of time that afternoon talking to Kiko about life, the universe and everything in between. Courchevel. Ski and Snowboard trip with Megan, Mike, Marcela, Graham and Lisa (Moneypenny). This was a week of fun on the snow in February. We hired a chalet for a week and it was some of the most fun I have had snowboarding. I also cracked a rib. In fact, I think I have a picture of the x-ray somewhere. My most vivid memories of this trip was coming off the slope and getting back the chalet and having an ice cold beer, that had been chilling in the snow all day. There was always 'lively' debate about who had the most impressive wipe out night after a few beers. Mike and I always said that we were going out partying every night, which never really materialised due to the crazy amount of energy expended during the day. 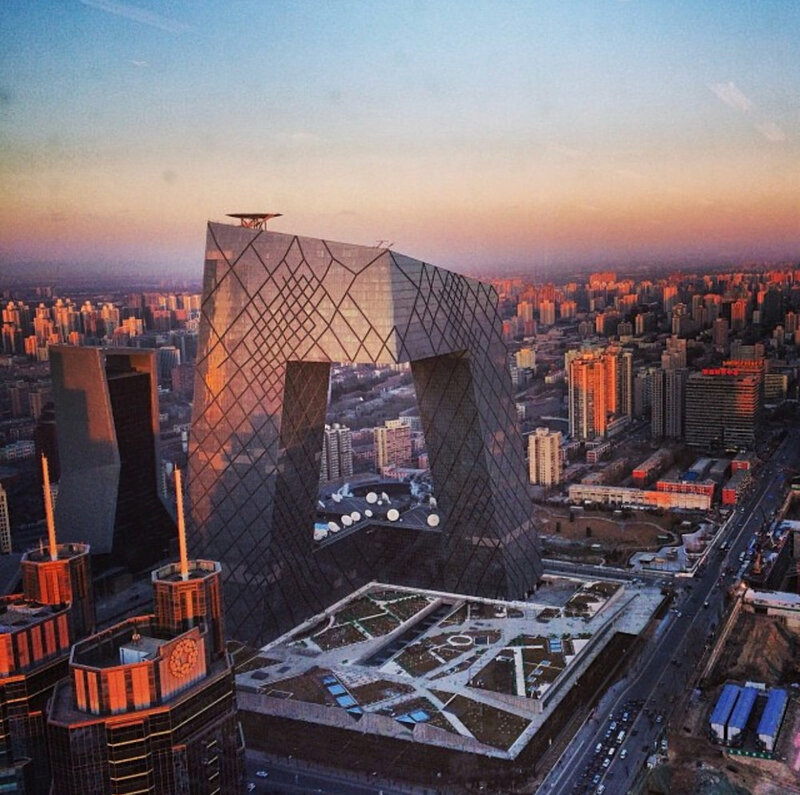 The CCTV building in Beijing, China. I took this photograph from the building in which I was working. Beijing doesn't get many clear days but this day was very nice. Just a after sunrise, taken on my iPhone (the best camera you have is the one you have with you). I was in China working for a week and then did some travelling with my friend Sisi. When I think of this trip this is what comes to mind. It was a trip that changed me on a fundamental level and I am ever grateful that I was sent on it. Oh, I also think of Tsingtao and Sisi laughing at me trying to order it in Mandarin. I am so thankful to Sisi for showing me around her hometown, having someone local in a such a large city was so good. She was also great a haggling in the Silk Market for me! This is probably one in a set of the most painful photographs ever taken. My camera gear was stolen on the train from Den Haag to Schiphol. I almost didn't go on the trip after that, but thankfully Mike, Marcela, Megan and Lisa (Moneypenny) convinced me to go. I did enjoy it, it was a very fun trip after all, even though I was taking all my photos (including this one) with my iPhone. It has to be one of the most photographed waterfalls in the world, and to be honest, its 'over-exposure' makes me think it is much less impressive than it used to be. There is no fun in driving up to something like this, shooting a few photos and driving off again. There should be a mandatory 20 mile hike to get to something this impressive. Maybe that's just me. A spur of the moment trip to Budapest, Hungary. Was asked if I fancied going to Budapest on a Wednesday and was flying by Friday afternoon. Megan was going on her own and wanted some company and as I was photographing pretty much everything at that point she knew it would be too tempting for me to say no. I had so much fun, learned how to drive a Segway, ate more Goulash than I thought was possible and walked so many km around Budapest taking photographs. I got a lot of nice photographs of Budapest but this was my favourite, Chain Bridge. It was a bridge that I had seen in a lot of movies and I never actually thought that it would be someplace that I would go so I am really grateful for Megan thinking of me. So, I am going to leave it here with six photographs. By no way my favourite ever photos, or my best, but they do have some of the best memories, taken with friends that are now spread around the world from Hawaii to The Netherlands and everywhere in between. I hope they are all as well as I am.